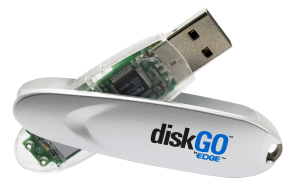 The value of the ubiquitous flash drives that many of us carry in our pockets or on our key chains is much more than the $10 we pay for them at the big box store. Rather, they’re worth as much as all the data they have ever held. A couple of instances involving Bowling Green State University and the Oregon food stamp program illustrate the danger. In the first case, an accounting professor could not locate a flash drive containing several years of student records–only one year of which students were identified by social security numbers instead of student IDs, and he was forced to pay for LifeLock protection for those students and undergo a public relations nightmare. The cost of the protection was nearly $10,000. In the second case, a flash drive was taken from a vehicle belonging to an employee of Portland Community College. That flash drive contained information on 2,900 recipients of the Oregon Food Stamp Employment and Transition program, run by PCC. Since the information contained names and social security numbers, DebixCredit Protection had to beoffered to each of the affected individuals. In both of these instances, the drives were stolen or misplaced. Similar troubles could befall, however, if the drives fell into the wrong hands after being tossed away. 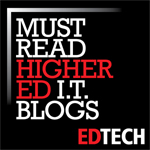 Read more on Campus Technology website.